Thank you for visiting UbounceInc.com, where you'll find all the best inflatables in Lexington! 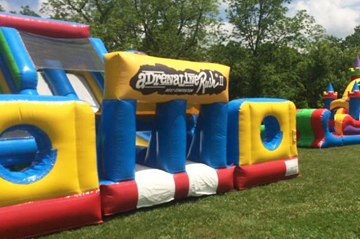 U Bounce Inc. is a fast growing company with many party rentals to choose from, like bounce house rentals, water slide rentals, and the best deals in Lexington, Kentucky! With our new online reservations system you'll can browse all awesome attractions and equipment we have to offer and build your party or event as you go. 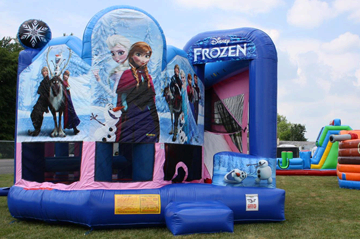 You can see all our popular bouncy castle rentals and dry slide rentals, along with exciting blow up obstacle course rentals, interactive game rentals, dunk tank rentals, and concession machine rentals. With many NEW rentals added this year, your party will sure to be the talk of the town! U Bounce Inc. is a local family owned business that provides on time-delivery service direct to Lexington, Kentucky. Customer service is not a thing of the past with U Bounce Inc. We provide five star service, from assisting you with all your event planning needs, to professional, worry free set up and take down. You can be sure your rental will always be clean & sanitized. GUARANTEED! As a local family business, U Bounce Inc. takes pride in our clean party rentals and takes our guests safety as a top priority. Our U Bounce Inc. team cleans and sanitizes all party rentals before each event. Check out a few of our testimonials at the bottom of the page. U Bounce Inc. is also licensed and inspected by the state of Kentucky. Start your party experience and "Get Your Party Jumpin" today! Getting your Lexington event started is easy, with our new online reservations system. Just click the link below and enter the date and times of your event. 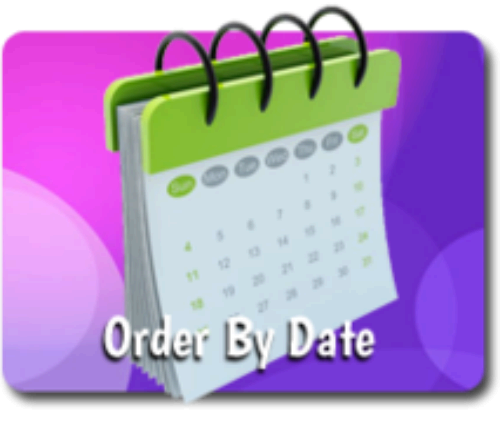 Then as you browse through the website you will be presented with only those items available on your date. That takes all the worry about whether or not your favorite items are available. Not ready to commit just yet? No problem! You can also just explore all the categories and as you see items that are perfect for your party, just click the "add to cart" button on every product page, and build your party that way. Reservations on UBounceInc.com site is truly as easy as one, two, three! Experience the U Bounce Inc. difference today! We're ready when you are! 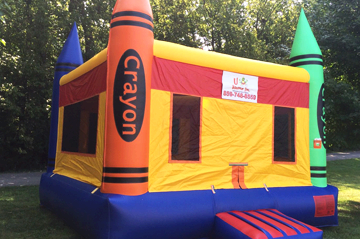 When your planning your next celebration in Lexington, Kentucky, Bounce Houses are a favorite for any party. All ages love to jump and bounce in this classic inflatable bouncy castles. The U Bounce Inc. team will be sure to clean and sanitize all the inflatables before and after each use! Our Lexington customers love it when we arrive with our crowd pleasing dunking booths. The thought of dunking a local celebrity, school principle or your boss at a fundraising event, always has them lining up for more! Everyone loves slides! U Bounce Inc. has a growing selection of slides for your next party in Lexington. Dry slides are a popular choice for school events, church functions and corporate picnics. 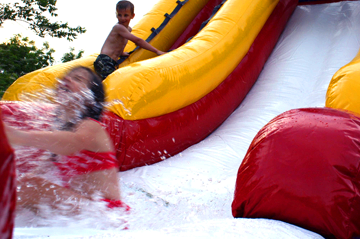 Choose one of our water slides for more fun and excitement on a hot summer day. UBounceInc.com provides direct delivery to Lexington, Kentucky. Concessions are a great way to add a little something "special" to your Lexington event. 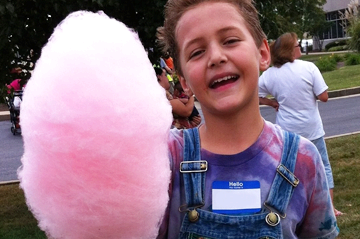 Cotton Candy and Sno-Kone Machines are great for fundraisers, company picnics, school carnivals and youth events. Fun and easy to use. Interactives are packed with fun for children and adults. Bring your guests together with the spirit of friendly competition with an obstacle course. These interactives are great to move traffic through quickly for large events with many people. UBounceInc.com has a variety of Combo Bouncers with slide, pop ups, climbing area, basketball hoops and a large jumping area. Rent a themed combo for your next Lexington event. Frozen and Justice league are waiting for you! I'll just tell you right now I'm the pickiest person in the world to please! And UBounce was hands down amazing across the board! First of all, they set it up and took everything down in no time at all! They all worked together like a well-oiled machine! Then they sterilized and cleaned everything, (that's right everything was germ-free for our crew) They were so courteous and sweet, and the best part of all is the PRICE!!! It was so affordable and a whole lot cheaper then having our party at Monkey Joe's! Lisa and Bob even encouraged the adults to jump and slide!!! Class Act all the way! Thank you so much! We're definitely using you all again! Thank you Lisa and U Bounce Crew for making our church event so amazing! Excellent customer and support! U Bounce did a great job for our employee function. They delivered on time and did all the set up and take down in a timely fashion. They were very nice and I highly recommend them! !